RCare, Inc., maker of wireless nurse call and monitoring solutions, has announced a strategic partnership with upBed, maker of a wearable bed exit solution for fall prevention. Based in Portland, Maine, upBed makes a solution worn by the resident, that detects and predicts when a resident is about to get out of bed. RCare’s nurse call system listens to upBed and sends a discreet alert to caregivers, who can assist in safely getting the resident out of bed. 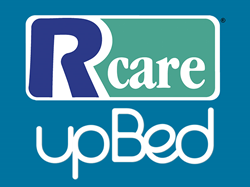 RCare, Inc., maker of wireless nurse call and monitoring solutions, has announced a strategic partnership with upBed, maker of a wearable bed exit solution for fall prevention. Based in Portland, Maine, upBed's solution is worn by the resident. It detects and predicts when a resident is about to get out of bed. RCare’s nurse call system listens to upBed and sends a discreet alert to caregivers, who can assist in safely getting the resident out of bed. “By providing advance notice that the resident is waking up, and instantly and silently notifying staff through RCare, upBed helps reduce falls among even the highest fall risk residents,” says upBed founder Aron Semle. The upBed device is a comfortable, satin band that is worn on the resident’s ankle while they sleep. It is lightweight and discreet. The upBed device detects when the resident is about to wake up, and sends a notification through the nurse call system, summoning help to the resident’s bedside. The silent alert does not disturb the resident, and meets all CMS guidelines. Lakewood of Northern Light Health, a 105-bed continuing care center in Waterville, Maine, is an early adopter of the integrated RCare upBed solution as part of its fall prevention initiative. The community has been using the two systems in tandem for the past four months. When the upBed device detects a bed exit, it alerts designated staff through the RCare system. This alert–which is silent to the resident–is sent to caregiver pagers, the nurse’s station, and activates the dome light above the room door, ensuring that help will arrive when needed.